D. P. Enterprises is reckoned as a notable supplier and trader in the market who provide well maintained and functionally efficient range of Used CNC Machine. This is used in almost all industries for time-saving business operations. Keeping pace with the growing trends of mechanism and reduced manual job work, these machines were designed using latest Designing Software at the manufacturer's end. Examining the durability, cost-effectiveness, high operational results and longer functionality of these machines, we provide them to our clients at economical rates. Further, the Used CNC Machine Tools are acknowledged amongst our clients for their rugged construction, sturdy designs, effective productions low power consumption and negligible maintenance. With more than two decades of expertise, we, D. P. Enterprises, have acquired credibility as the reputed company with customer focused approach in the field of Used Gear Machines, Used Lathe Machines, Used Grinding Machines such as cylindrical grinding machines. We always ensure to supply superior quality used machines at most economical rates within the specified time period to our valued customers. This give us a clear edge over the counterparts based nationally and internationally, consequently resulting in an increased client base. 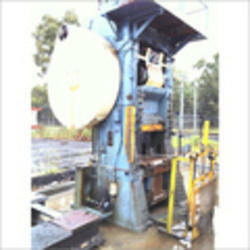 Hence, we are regarded as the best used grinding machines supplier from New Delhi, India. Incepted in the year 1983, we have entered in the world of trade as an eminent importer, wholesaler/distributor, supplier and dealer of used machines such as Used Gear Machines, Used Lathe Machines, Used Gear Grinding Machines, Used Surface Grinding Machines, Used Horizontal Boring Machines, Planner, Radial, etc. Designed by authorized manufacturers our machines are in compliance with industrial standards. The machinery like used cylindrical grinding machines are characterized with dimensional accuracy, easy usage, functional efficiency, and precision design, specific to the application. We have earned the trust and respect of many well known companies by offering them quality range of product. Further, our close coordination with our clients makes us understand their needs and requirements. By following ethical business policies and transparent deals, we ensure that the clients' experience related to our machinery and tools are in line with their expectation. Moreover, we use quality material for packaging purposes. The material are wood, wooden crates and gunny bags that keeps the product in its original condition throughout their transit and delivery to the destination.